As a mother, wife and businesswoman, my determined spirit has taken me through personal and professional success, and it is definitely the foundation for my achievements as a real estate expert. By listening to you closely, I am able to quickly identify what you want to achieve and guide you through every step of the real estate process to ensure you get optimum results. Not only do I understand each phase of the real estate process, I do what it takes to make things happen smoothly, quickly and efficiently, and without stress to you. I strive to keep the lines of communication open, and be available when you need me. When I am not working you will find me spending time with my family, taking the grandkids to the movies, or doing a little shopping. I only have one word to describe Susan Magee, and that is EXCELLENT!! She is very professional yet down to earth. When she put my house on the market she went beyond her means of selling my home and in fact she had it sold to the first people who looked at it. Awesome Lady!! Unlike many other real estate agents Ms. Magee LISTENED to our wants, needs, and price range for the home of our dreams and because of that we found our home Very Quickly !! She sent us daily updates of home that she had found in the areas we were interested in, price range that we could afford. I have bought and sold several homes in my lifetime and Susan Magee was by far the best agent I have ever worked with. She was very pleasant and professional. Made the whole buying process not only less complicated and scary but downright fun and interesting!!! I would HIGHLY recommend Susan for anyone who is buying (or selling) a home. It was a joy to work with Susan on the purchase of my new home. Given the special nature of my situation, Susan went above and beyond to help me work through every stop of the process. I always felt confident having Susan as my agent, which made the entire process a pleasure! I highly recommend Susan Magee and will definitely utilize her services her again. Susan is absolutely wonderful. She is very personable and very professional. Her knowledge and expertise of the real estate market is beyond superb. We initially contracted with her to sell a parcel of land. She helped us to see our "expectations" were not in line with the market and then proceeded to find a buyer. Any issues that arose, she communicated with us and handled them to the fullest. After closing on the parcel of land, we then contracted with her to sell our rental property. Again, another job well done. In less than a week from the date of listing, we had an offer. She helped us through the negotiations and we closed at a price that worked for us. You can't find a better Real Estate Agent and Professional than Susan Magee!! My daughter and I both got such fast service about a rental house we would so buy a house from her she is so wonderful thats Susan..well, also I looked and looked for houses with Susan's help but the time for us to buy was not right. She was of a lot of value and never ever failed to keep in touch still. Thanks so much Susan Magee! Great Realtor. Very knowledgeable about the Richmond Virginia market. When there were issues and questions, she was very responsive, which is critical, especially for something as important as buying my home. I can't imagine not having Susan Magee and her team, in my corner. 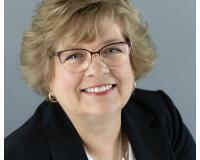 I have had the assistance of Susan Magee twice in selling and purchasing a home. There is not a better realtor to be found in the Richmond area. Besides having years of real estate knowledge, she has a personality that makes you feel like, no matter how bad the situation might be, it's all going to work out in the end. My second sale and purchase were rather challenging to say the least but Susan was always there with her cheerful voice, giving me comfort and confidence. She absolutely goes above and beyond in guiding you through whatever difficulties might arise. Susan has represented me in 5 real estate transactions in the last several years. I would never use anyone else because: * While she is very knowledgeable and extremely successful, she is also very personable and easy to work with. * She and her team of specialists make each transaction smooth and stress free. * Her market knowledge allowed me to sell one property for more than I thought possible. * Her strongest suit is her negotiating skills. She can "think outside the box" and make a deal happen that appeared totally dead. For these reasons, it's easy to see why The Magee Team is acknowledged by The Richmond Association of Realtors as one of the most successful in the Richmond metro area. The Magee Group and especially Susan Magee made the process of buying a home so easy. From the New Home Buyers seminar where we learned everything we needed to know about the home buying process as well as introducing us to a Mortgage Lender personally who was able to answer our questions as well. I recommend The Magee Group and Susan Magee for anyone looking to buy or sell a home. Susan was absolutely a delight to work with. Not only did she sell our home, she found us a perfect place to move to nearby. We sold our home for more than we thought we could get and Susan negotiated the price down on the one we bought. Susan was always quick to respond to our questions and trust me we had quite a few. She always smiled and calmly walked us through every step of the transaction. If you are looking for a hard working, compassionate, real estate expert, then stop looking....Susan Magee is the one for you. Susan Magee found the perfect home for myself and husband very quickly. When we described what we were looking for she immediately was able to show us homes that matched our criteria. She was very knowledgeable and patient. We would definitely work with Susan again and recommend her to family and friends. Susan Magee is the agent to use rather you are a seller or a buyer. I was impressed immediately after speaking with her regarding selling our home and purchasing another. We received excellent service from the beginning to the end. She is very professional, knowledgeable and personable. We will definitely recommend her to our family and friends. Susan Magee sold our house when we had to move. We had some challenges and needed to make a move quickly. Susan understood this and put our house on the market for more money than we thought we could get in a short period of time. I don't know why we doubted her at first, her marketing and negotiation skills got the house sold fast and for more money than I was expecting. Plus she was always explaining the process and cheerful. I would recommend Susan Magee for anyone that needs to sell. Susan was Fantastic, She helped us work with a builder from a different area. She helped make sure the process went as well as it could and even drove out to the property for us when we couldn't. I would definitely use the MaGee Group again. Susan Magee is a superstar! We originally had our house listed with another agent for four months. However, the listing was lacking a good marketing plan and the results were in the number of showings and lack of responses by agents. I had retired from the Army, we had moved to Wisconsin from Virginia and were paying two mortgages, so we really needed to sell the house. On a whim, I checked out the Dave Ramsey website and used his Endorsed Local Providers recommendations for Real Estate Agents. Within minutes of submitting the request in, and still on the website, I had a call from Susan Magee. I explained our situation and asked what she could provide as a listing agent. We chatted for quite awhile and it was apparent that Susan was top in her game. She explained her marketing strategy and the team she has working on it. I was quite confident that Susan was the right agent to get our house sold. Susan went and checked out the house. We had been renting it for the last five years while I was in the Army stationed in another area in Virginia. Susan gave us her honest assessment of the house. She told us if we wanted to list it immediately, what she would do and what we could get. She also gave us a recommendation on doing some cosmetic work to get top dollar for the sale. We went with the additional work and Susan set everything up. Once the work was completed, Susan and her team went to work. Pictures, drone photos, social media, web work, the whole marketing plan went into action. immediately upon going live, the showings started AND 22-days later we had a contract for full listing price and the house sold! Susan was spot on with everything. She has a true understanding of the real estate market, a top marketing strategy with a dedicated team to implement it and she has all the connections needed to handle anything you need in order to sell your house. Susan Magee is an agent you can trust and who will get the job done for you! "Susan was absolutely a delight to work with. Not only did she sell our home, she found us a perfect place to move to nearby. We sold our home for more than we thought we could get and Susan negotiated the price down on the one we bought. Susan was always quick to respond to our questions and trust me we had quite a few. She always smiled and calmly walked us through every step of the transaction. If you are looking for a hard working, compassionate, real estate expert, then stop looking....Susan Magee is the one for you."